As an integrated email client, Webmail produces extra value for accomplished email servers, such as Gmail and Rackspace. Distinctive features, like email linking and shared templates in Webmail, make it easier for Gmail and Rackspace users to add a greater level of personalization to their messages. Humbly standing on the shoulders of these giants, Webmail simply aims to fill in the gaps important to Solve CRM users. As normal, add your email recipients into the “To” field at the top of your message. Webmail will use the email addresses you’ve entered to match data from a source contact record. 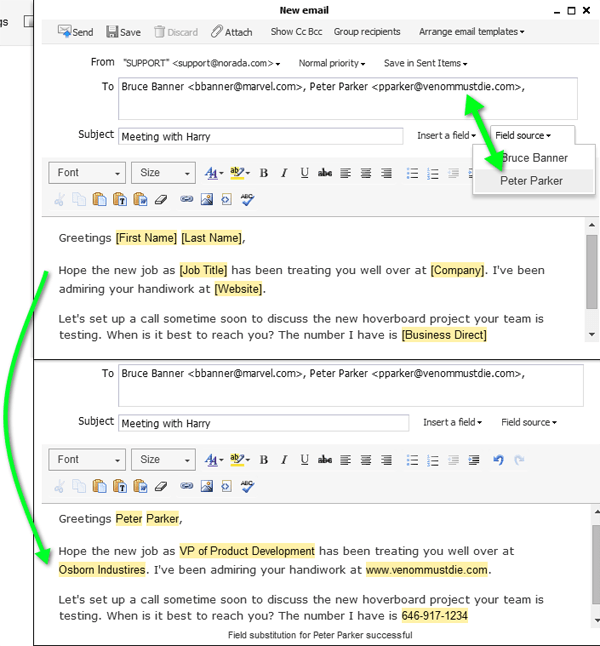 Insert an email template by clicking on “Arrange email templates”, or create a new message from scratch. As you compose your email use the new “Insert a field” drop-down menu to input your standard/custom Solve CRM contact fields. Select a “Field source” to populate the field-placeholders. If more than one email address is in the “To” field simply select which contact you wish the fields to pull data from. 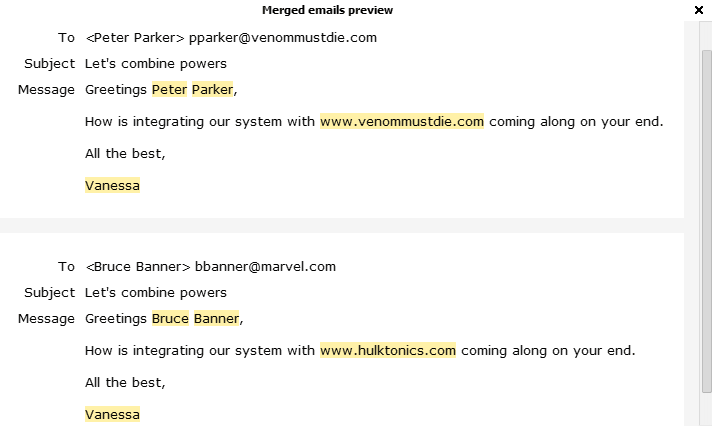 Seeing is believing Marvel as your inserted Solve CRM field-placeholders are instantly updated with data from the selected source contact record (and all before you click “Send”). Imagine the possibilities. Exhale, and settle into your new Zen-like state. Achieve true peace of mind Pair your never-fail email templates with newly inserted field-placeholders and watch as they seamlessly populate accordingly for contacts. Email templates act as blueprints of your work that can be reused for new prospects. When you follow the same steps repeatedly, templates save you a lot of time by simply plugging and chugging new information. Ensure nothing slips through the cracks Use field-placeholders to automatically pull in all the unique contact data you need to quickly personalize your email while neutralizing the threat of typos and incorrect contact information. Assume the Child’s Pose position. “Group recipients” supports sending personalized messages to an entire list of contacts, filling the gap between sending a normal email message and coordinating a mass-email campaign through Constant Contact or MailChimp. Before sending the message you can now preview your “Group recipient” messages showing the merged Solve CRM field values for each recipient. Bring your palms together, Namaste.